In June 2017 BattLab has started a new monthly column on Veterinary Times Journal. 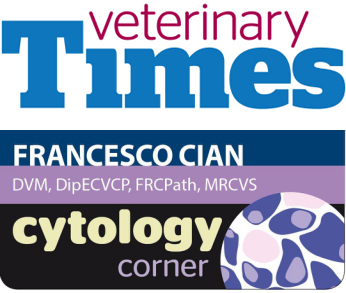 Every month we will present you with a brand-new cytology case. Challenge yourself by reading the clinical history, looking at the cytology pictures we provide and try to reach a diagnosis. We will provide you the solution and some additional clinical information about the case. Do not miss it.